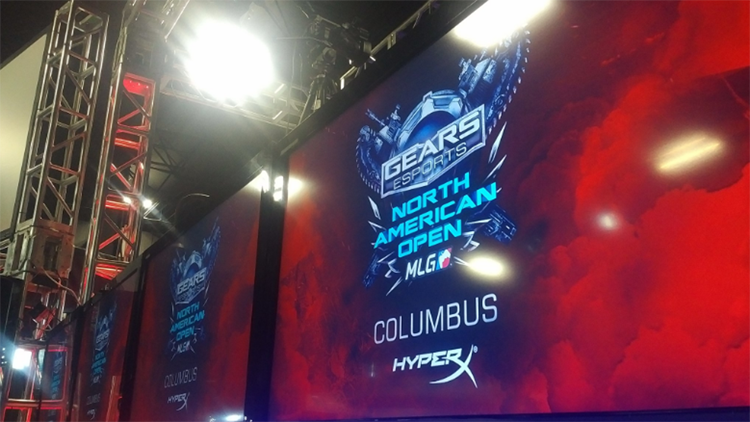 MLG Columbus showed off what was to be the start of something much bigger than imagined for Gears of War eSports. Gears of War has not partnered with MLG for a LAN event since Gears of War 2. With Jack Felling heading up the eSports division at The Coalition, she took what could be something great, and turned it into something that nobody could’ve imagined. Gears of War back on the MLG Circuit after 7 years of silence. Players began arriving in Columbus, Ohio last week as early as Thursday to begin preparations for the $50,000 prize pool. As teams went over strategies and ran new ideas by each other, the MLG Arena was in full preparation to launch MLG Columbus off. As Saturday rolled around, doors opened up and the MLG Arena filled quickly with Gears of War players from all over the country, and even some from outside of the United States. 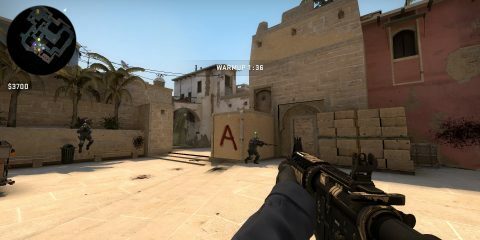 LAN stations quickly became filled and the main stage got set to host it’s first match. As Team Kaliber and Vanquish took the stage for matchup number one, Team Kaliber was coming into the event feeling stronger than ever. They had the support of the crowd, the support of their fans, and basically everybody on social media. Team Kaliber took their first match up with ease and advanced quite far into the competition before being eliminated by Enigma 6 Group in the 5th round of the Lower Bracket. The team coming into this with favor to win, Team EnvyUs, was coming off a huge win from Gfinity EU and also a win over Denial eSports in the Gears Pro League Season 2 Finals. EnvyUs seamed to be playing as themselves with nothing but pure confidence and skill. That is of course, until they met their season 2 rivals, Enemy.GG, formally Denial eSports. Enemy.GG had been on fire all day long with their team captain, Chris “Lava” Anderson showing everybody that they were here for the gold. They had moved through every matchup thrown their way throughout the brackets, finally making their way to their focused match, Enemy.GG vs. Team EnvyUs. This would be a rematch of both Pro League finals and for them, a redemption after the devastating loss in the Season 2 Finals. After a seeming struggle, Enemy.GG made their comeback on Map number 5 to secure the huge 3-2 win over EnvyUs and sending EnvyUs to the Lower Bracket. 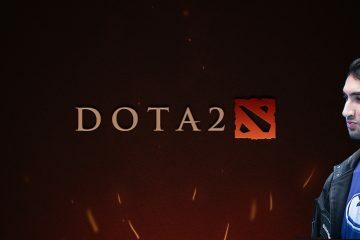 DreamTeam was all set to face EnvyUs in the finals of the Lower Bracket at a shot to fight for the lion’s share of the prize pool offered to MLG Columbus competitors. DreamTeam dealt out a massive upset to the returning champs as EnvyUs fell 1-3 to DreamTeam. DreamTeam finally had the shot they had worked so hard for. They were going into the finals to face off against Enemy.GG. With a $50,000 prize pool on the line, Enemy.GG handed out one of the biggest upsets in the event, a massive 3-0 blowout to DreamTeam. This win left Enemy.GG to collect their share of the $50,000 prize pool and beautiful piece of hardware. In addition to the biggest event that Gears of War has seen in the past 7 years, another announcement was made in regards to the upcoming Gears of War 4. MLG and Gfinity will be partnering with The Coalition to bring us the $1,000,000 International Pro Circuit. With such a huge focus on the future of Gears of War eSports, it’s safe to say that you should grab your Gears buddies now and begin grinding. The first event coming in November 2016 will show a $250,000 prize pool and have over 100 teams competing. Get ready for Gears of War like you’ve never seen it before. Lastly, a huge congratulations to Enemy.GG on their monster win at MLG Columbus. They are now 2/2 of LAN with their full roster and it’s easily said that they’re the team to beat going into Gears of War 4.